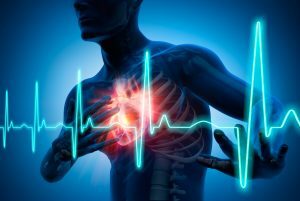 The difference between being on a personal fitness program and going to a cardiac rehabilitation session is quite simply timing. Personal fitness is a key element of living The 100 Year Lifestyle. Cardiac rehab happens after you have had a heart attack. Otherwise, the procedures of each are similar. Many people who are into personal fitness wear a heart monitor to track their results. During cardiac rehab, the cardiac specialists hook you up to a more sophisticated heart monitor to minimize your risks and their liability. You have a choice of which path you take. Heart disease is a leading cause of preventative death in the United States and most of the industrialized nations. The key word in the previous sentence is ‘preventable.’ Through common sense food choices, maintaining your ideal weight, regular exercise, and a stress free spine and nervous system, you can keep your heart healthier for a lifetime. Most overweight people are aware that their weight is an issue and it can lead to serious health problems. Unfortunately they are just waiting for a severe crisis to give them the life changing wake up call. If there is somebody in your life who is on this dangerous path, you can be the intervention that wards off the crisis. Have a heart to heart talk with them. Let them know that you are concerned about their well-being and that they are headed for a crisis. Ultimately the decision to change their lifestyle will be theirs, but it will help them to know that you care. Decide together to buy healthier foods at the grocery store and make healthier choices at restaurants. Begin choosing quality calories over empty calories during all your meals. If you have a history of heart disease, are concerned about an underlying heart condition, or experience chest pain consult your cardiologist. After you consult with your cardiologist, start a plan to Get Your ESS in Shape: Endurance, Strength and Structure. All three are essential to a healthy heart and quality of life as you age. Make an appointment with your chiropractor to ensure that your structure, spine and nervous system are stable enough for exercise, and that the nerve supply to your heart is clear. If you’re reading this then you are probably in a position to delay a heart attack and cardiac rehab, and even prevent it completely. Take action and make your appointments today so you can continue enjoying the life that make you smile now, tomorrow and for years to come.